• Kierston Wareing - in this interview, recorded exclusively for Criterion in London in 2010, Kerston Wareing, who plays Mia's mother in Fish Tank, discusses her collaboration with Andrea Arnold, the message of the film, her character, etc. In English, not subtitled. (15 min, 1080p). • Michael Fassbender - a fascinating audio conversation between David Schwartz, chief curator at the Museum of the Moving Image, and actor Michael Fassbender. Filmed in Queens, New York, on January 6, 2010. In English, not subtitled. (27 min). • Audition Footage - a gallery of audition tests for the role of Mia. (10 min, 1080i). 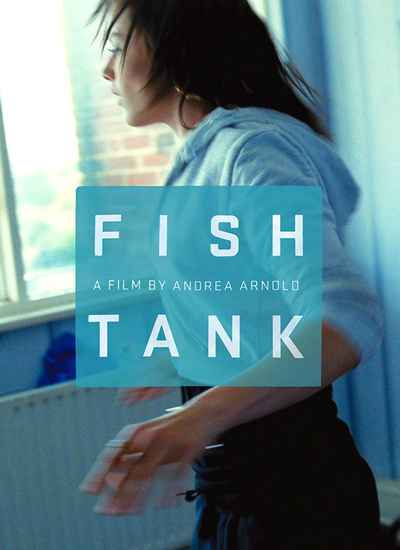 • Short Films - three short films directed by Andrea Arnold. -- Milk (1998) - an older woman (Lynda Steadman) meets a younger man (Lee Oakes) after a tragedy changes her life. In English, not subtitled. (11 min, 1080i). -- Dog (2001) - a lonely dog and a lonely girl (Joanne Hill) meet. The dog brings out the worst in the girl's boyfriend (Freddie Cunliffe). In English, not subtitled. (11 min, 1080i). -- Wasp (2003) - this award-winning short film tells the story of a single young mother, Zoe (Natalie Press), who decides to take a chance and go out with a man (Danny Dyer) she has not seen in years. In English, not subtitled. (26 min, 1080p). • Stills Gallery - a collection of stills from Fish Tank. (1080p). • Trailer - the original theatrical trailer for Fish Tank. In English, not subtitled. (3 min, 1080p).